Australian Football Club the Sydney Swans have today announced they will have a float in this years Sydney Mardi Gras, believed to be the first float entered by a professional sporting team. 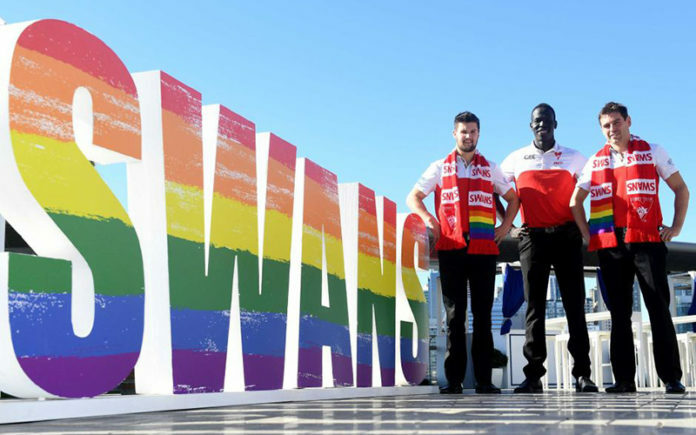 Over recent years Swans players and coaching staff have joined athletes from other sporting codes to say no to homophobia in sport and march in the parade, but this year, in the events 40th year, they will go one step further as a club and feature a float. Speaking at the announcement Sydney Swans CEO and Managing Director Andrew Ireland said he wanted the Swans to be an inclusive club. “We want everyone to feel welcome at the football. 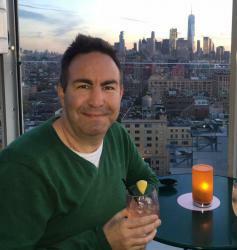 It’s about making people feel welcome, safe and included,” Ireland explained. “LGBTI Pride is one of the four pillars of our Diversity Action Plan, which outlines our commitments to inclusion. The decision comes at a time when the Mardi Gras organisation is facing criticism for knocking back more than 100 floats from this year’s parade, many of whom are LGBTI community groups who have paraded over many years. Due to the overwhelming number of organisations that wanted to parade this year, Mardi Gras has ditched many of these groups in favour of first-time applicants such as the Sydney Swans. Sarina Jackson, chair of the Sydney Swans official LGBTI supporter group the Rainbow Swans, has welcomed the announcement of the Swans inclusion in the parade. “This is huge for our community and it’s huge for diversity,” Jackson said. This involvement follows on from the annual Pride Match which the Sydney Swans and St Kilda play each year. Next articleExpectations and Stereotypes – How Are They Affecting Our Rainbow Youth?